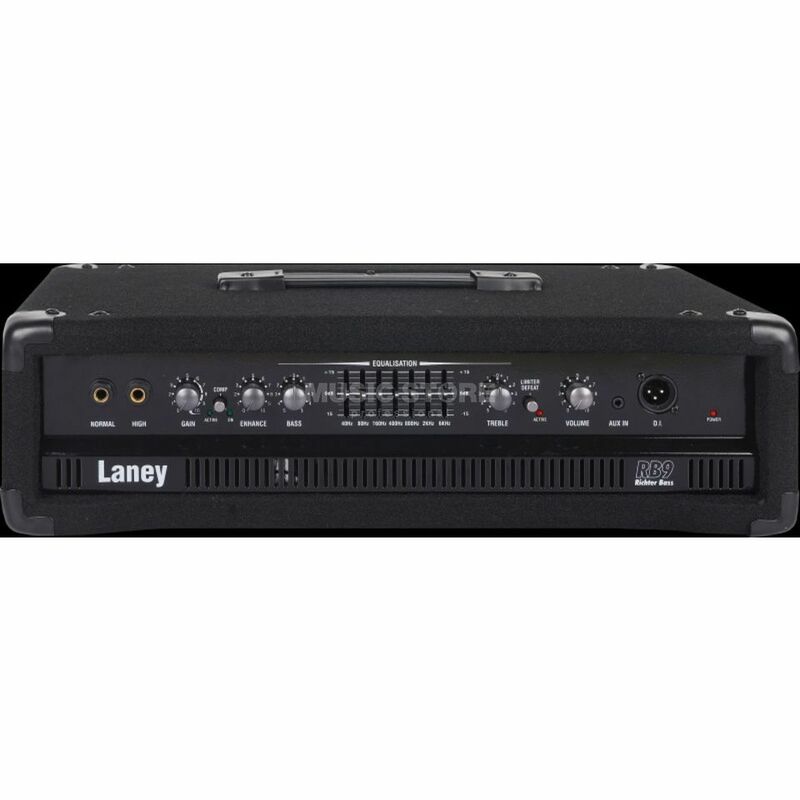 Delivering clean, low, loud bass into a range of cabinets, the Laney RB9 amp head is capable of driving a full pro bass stack at levels which will have the walls shaking and the crowd rocking. The RB9 is the top of the range Laney bass head which can deliver a massive 300 watts into a 4 ohm load. We would recommend hooking this up with the Laney RB410 and RB115. The RB9 also features the same award winning preamp section as the RB8, so you can expect more of the great Laney tone in a very portable package.